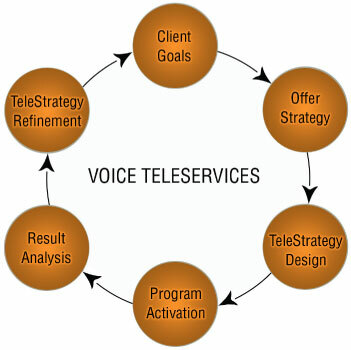 Voice Teleservices' approach to being your B2B lead generation partner brings the call center process full circle and supports not just your sales staff, but also several key elements of your marketing efforts. We believe in pursuing any area of activity where the contribution of a B2B call center delivers benefit. Besides generating more and better B2B leads for you, we also embrace and seek opportunities for you while we generate leads—by conducting real-time market reconnaissance, surveys, polls and more—so you'll know your target markets inside and out, and so we can help you attack them the smart way. Our methodology follows a series of cross-informative steps that help us to develop highly tailored B2B call center programs that work exceedingly well. Every call we make is an opportunity to sell, or at the very least, to learn more about each prospect so that future marketing touches can be even better targeted, made more relevant and yield greater results.